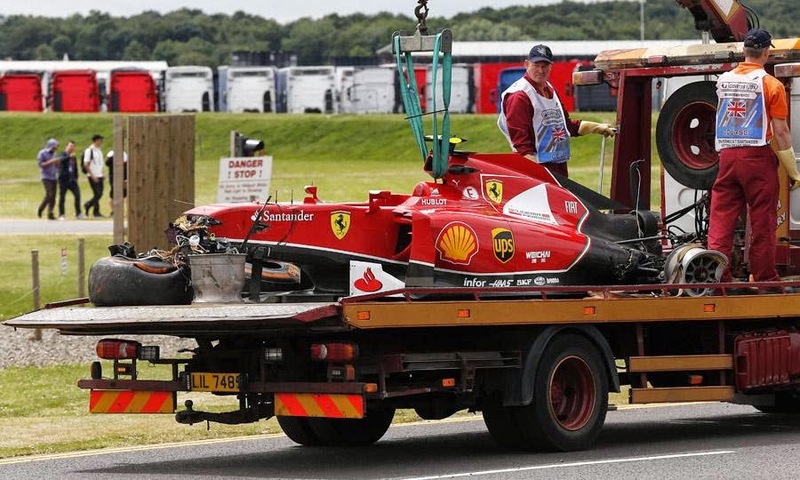 The British Grand Prix was mayhem from the start as Ferrari’s Kimi Raikkonen lost control and crashed into the inside barrier, then rebounded back onto the track, narrowly missing Caterham’s Kamui Kobayashi but clipping Willams’ Felipe Massa, who maneuvered to avoid a T-bone collision. The Ferrari was wrecked and Raikkonen limped away from the scene (he is apparently ‘okay’ but nursing a severely bruised right ankle). Massa’s car sustained too much damage which forced him to retire from the race and the severity of the damage to the guardrails brought out the red flag. Meanwhile, Lewis Hamilton, who started at an unimpressive sixth place after a disappointing qualifying, had quickly raced to fourth. After the race restarted, Hamilton leapt past the two McLarens to second place, just behind his teammate, Nico Rosberg. On lap 47, Rosberg experienced issues with the gearbox, and Hamilton flew past to maintain the lead for the rest of the race while Rosberg dropped out in his first retirement of the season. Meanwhile, William’s Valtteri Bottas started in a lowly 14th place on the grid, but impressively charged forward to second place on a one-stop strategy, giving him his second ever and consecutive podium. Red Bull’s Daniel Ricciardo battled McLaren’s Jenson Button for third and, despite limping on worn tyres, denied the Brit victory on his home ground.